Mon - Sat 9:00 A.M. - 9:00 P.M.
High transparency, Excellent weather resistance, alkali resistance, acid resistance, Excellent ultraviolet absorption, Non-bleeding, Non-migratory and insoluble, High temperature resistance, Transparent Iron Oxide Yellow can keep color unchanged under 160°C. 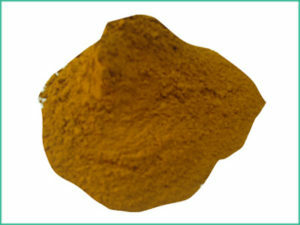 Transparent iron oxide pigment yellow can be used in automotive coatings, wood coatings, architectural coatings, industrial coatings, powder coatings, art paint, plastics, nylon, rubber, printing ink, cosmetics, tobacco packaging and other packaging coatings. Transparent iron oxide pigments can be used in combination with organic pigments which can not only enrich the color and improve the chroma, but also can significantly improve the condition of poor weather resistance when organic pigments are used alone. We are a group engaged in manufacturing, export, import, distributorship and trading of various Pesticides and Insecticides Formulations. We are also into imports and trading of chemicals, dyes & pigments.